Open Banking regulations compel the UK’s largest banks, and building societies to enable their customers to share personal information with other regulated companies securely. As a result companies such as Nationwide Building Society are re-architecting their processes and infrastructure around customer needs to reduce the risk of losing relevance and the ability to innovate. In this online talk, you will learn why, when facing Open Banking regulation and rapidly increasing transaction volumes, Nationwide decided to take load off their back-end systems through real-time streaming of data changes into Apache Kafka®. You will hear how Nationwide started their journey with Apache Kafka®, beginning with the initial use case of creating a real-time data cache using Change Data Capture, Confluent Platform and Microservices. 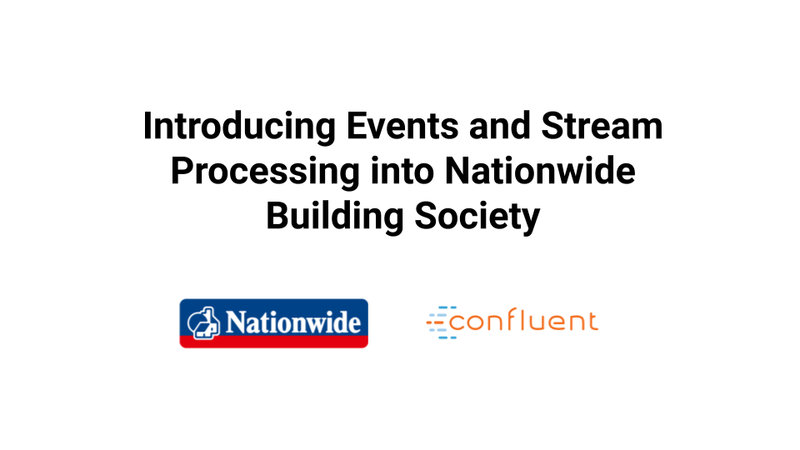 Rob Jackson, Head of Application Architecture, will also cover how Confluent enabled Nationwide to build the stream processing backbone that is being used to re-engineer the entire banking experience including online banking, payment processing and mortgage applications. Understand how Nationwide is using KSQL and Kafka Streams Framework to join topics and process data. See a working demo of the Nationwide system and what happens when the underlying infrastructure breaks. Robert Jackson is the Head of Application Architecture for Nationwide Building Society. Robert joined Nationwide 15 years ago to work as a developer on their Internet Bank, he now heads up their Application Architecture function and recently introduced Kafka, Stream Processing and Event-Based Architectures into the society. Tim has a strong data management and distributed systems background honed at companies such as Informix, TimesTen (In-Memory database), Oracle and DataStax (Apache Cassandra). Now a Systems Engineer at Confluent his focus is to enable customers to adopt the Apache Kafka technology and the Confluent Streaming Platform maximizing data value through real-time event streaming. Be that on-premise or in the cloud.